Braces can make it awkward to eat and drink. And because they’re fixed to your teeth, it can be a challenge to keep the teeth clean. But not only that, they’re considered by some people to be unsightly. But now, with advances in dental materials and design technology, it’s finally possible to correct your teeth alignment without those braces. 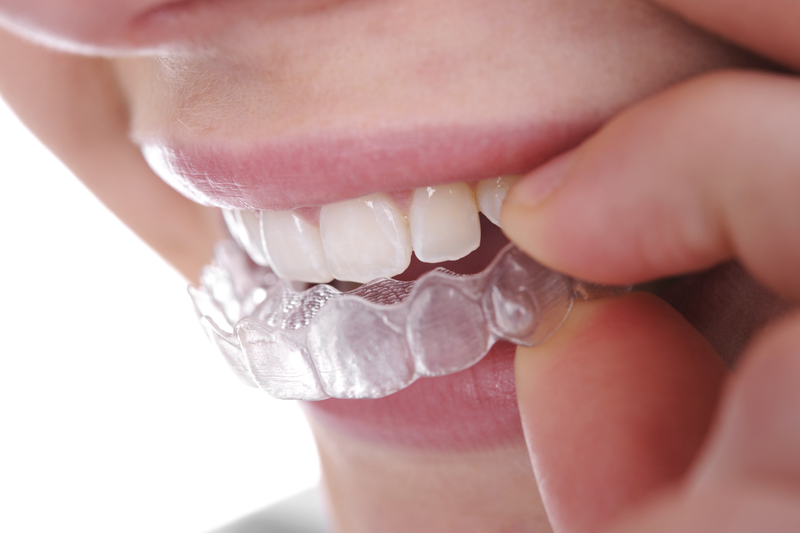 The new system is called “Invisalign“, which is a set of custom-made clear aligners, which are designed to slip easily over your teeth and progressively correct their alignment over a period of time. It’s for teens AND adults – in fact most of our patients are adults who started out unhappy with their crooked smile.